Give the Gift of Time with Family with a Hull-O Farms Gift Certificate. Hull-O Farms offers country-style family farm vacation packages throughout the year. 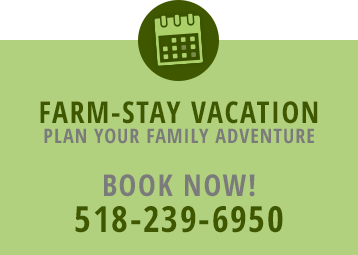 With all the technology in the modern world, a farm-style family getaway is the perfect gift for the loved ones on your list in need of some quality family time. From enjoying family breakfasts and dinners together on the farm to feeding and cuddling with farm animals, you’ll be sure to give the gift of happiness.